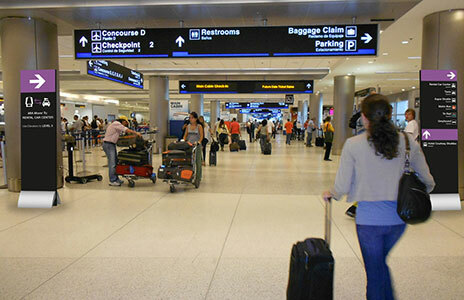 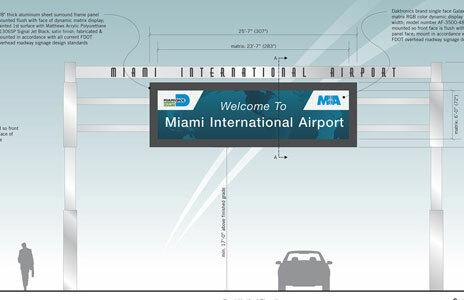 The MIA Mover system at Miami International Airport is an automated people mover train that transfers travelers from the main terminals to the remotely located Miami Intermodal Center/Rental Car Facility. 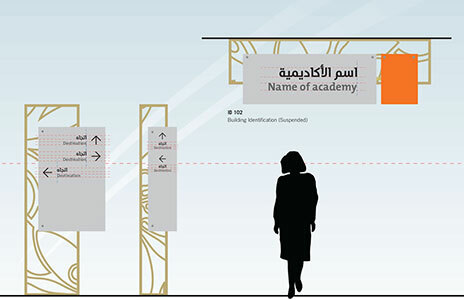 In order to accommodate the very complex wayfinding conditions during the final stages of construction, Labozan Associates and Valancourt International created a new transitional wayfinding signage system. 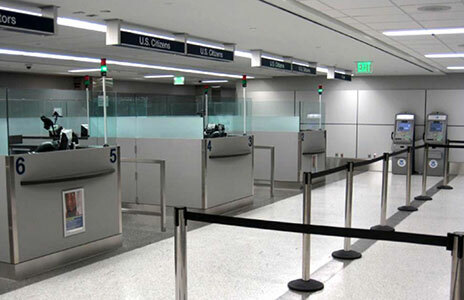 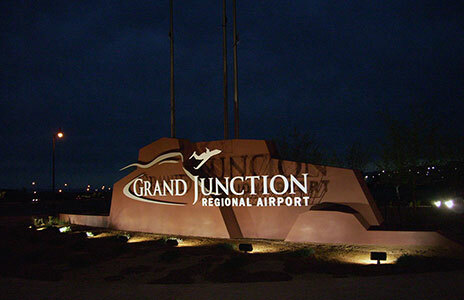 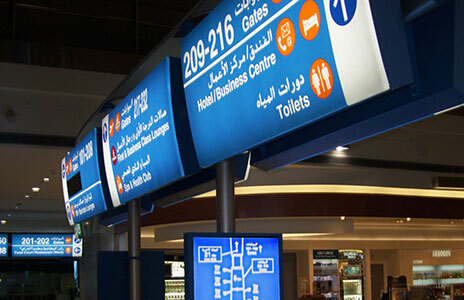 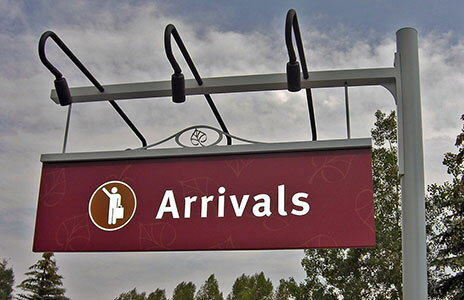 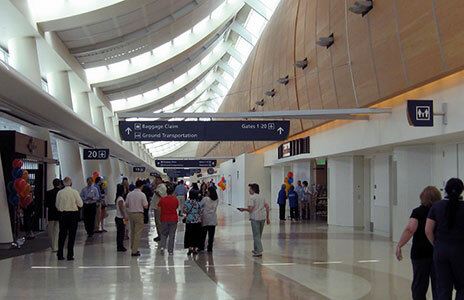 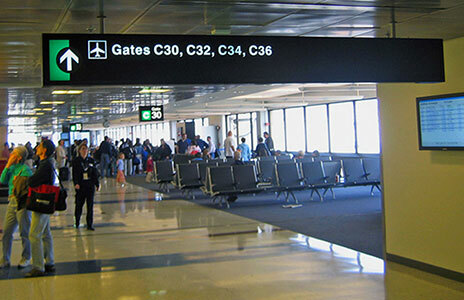 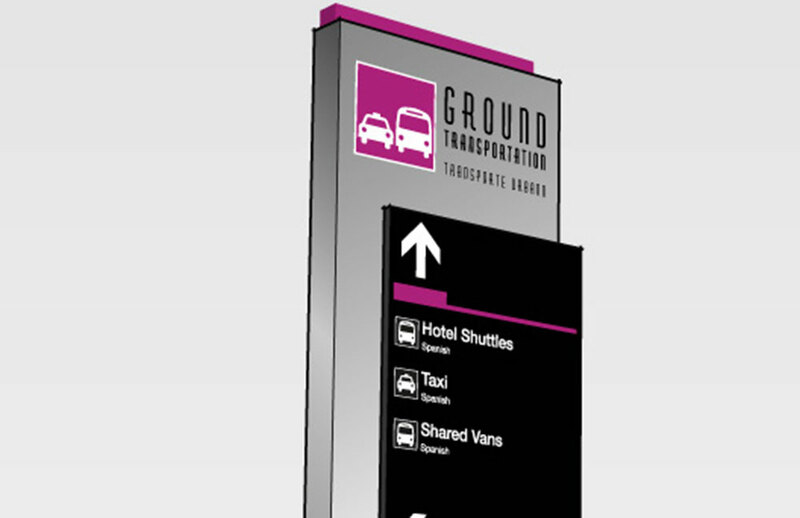 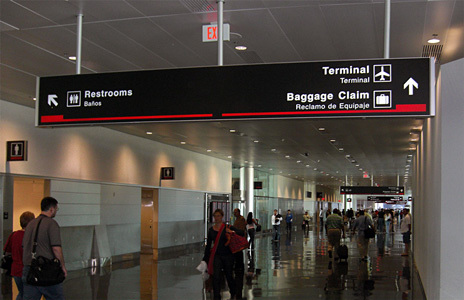 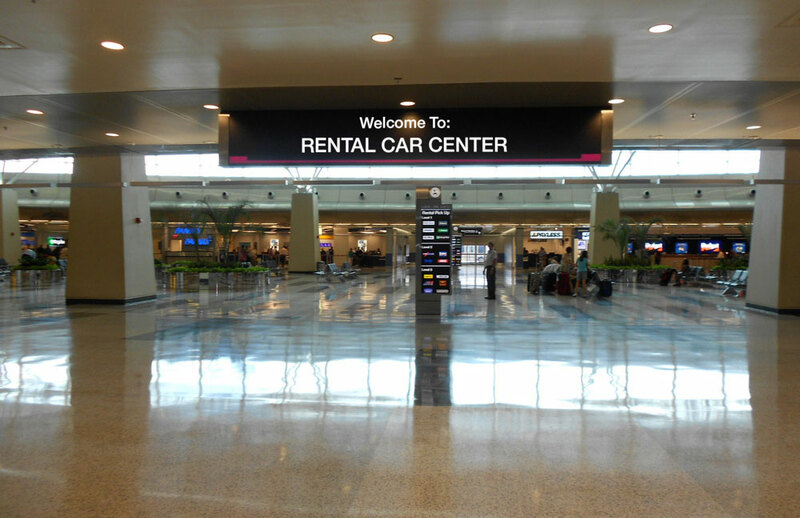 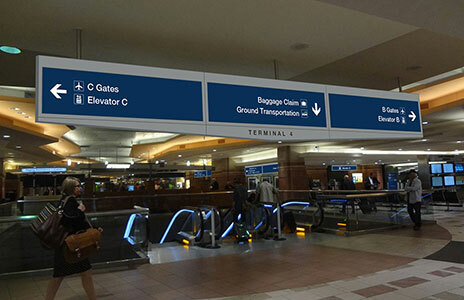 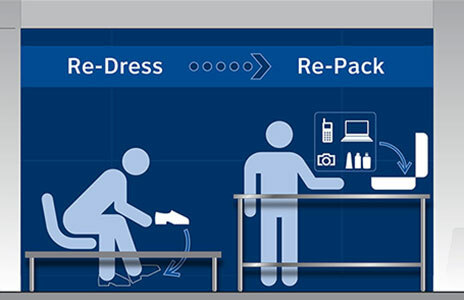 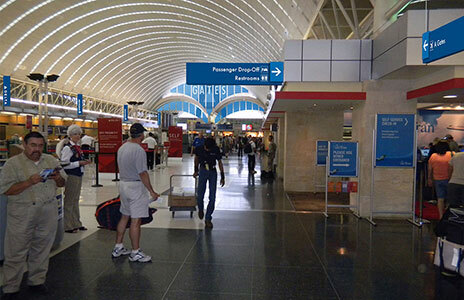 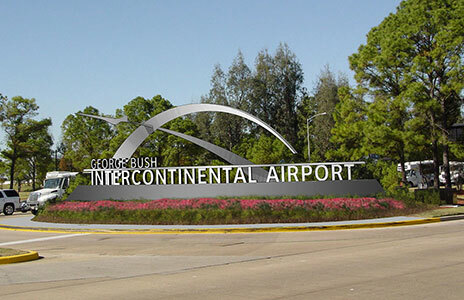 The transitional system consisted of an entire sub-set of trailblazing signage with a graphics system that is complementary to (and installed alongside of) the airport’s existing wayfinding signage. 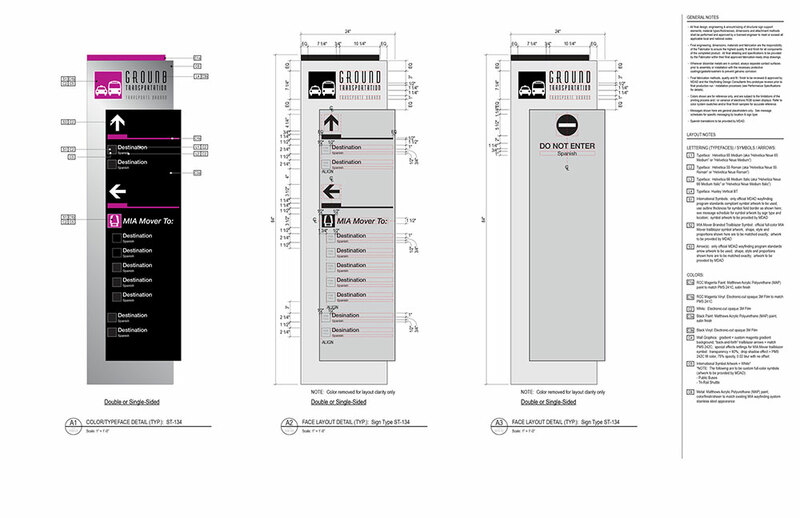 It focused on wayfinding associated with the soon-to-be relocated Ground Transportation services (being shifted to the new Intermodal Center), as well as trailblazing wayfinding traffic to the new MIA Mover train stations. 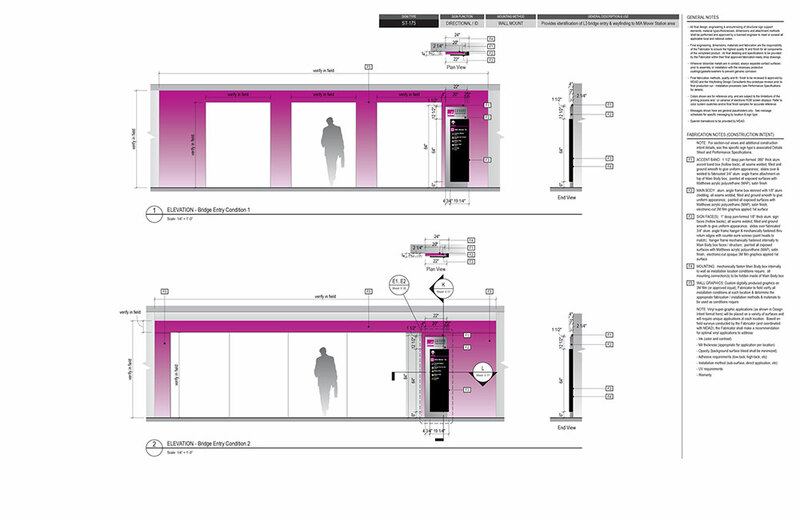 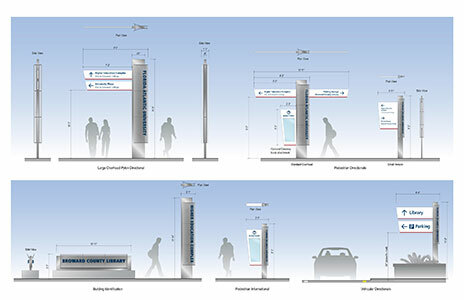 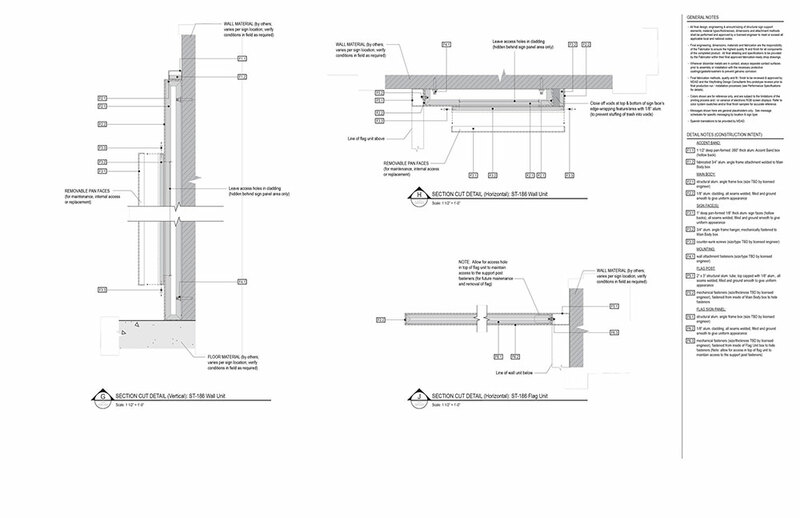 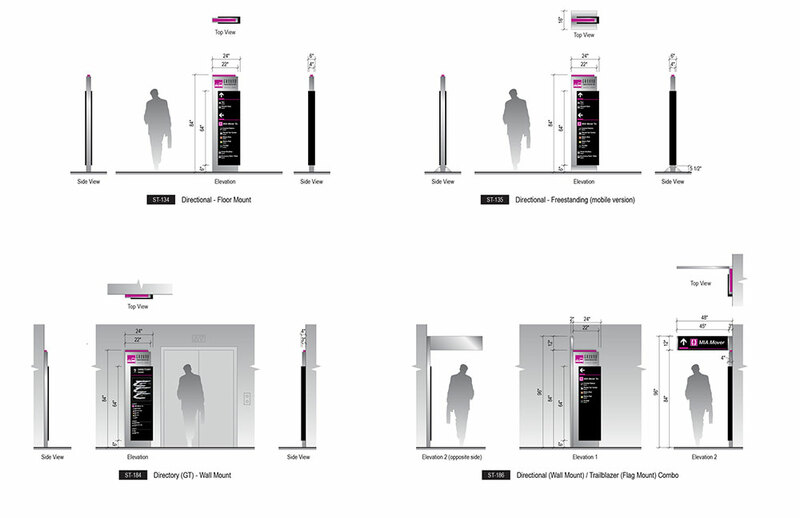 Multiple vertical pathways were addressed, including elevators, escalators and moving walkways. 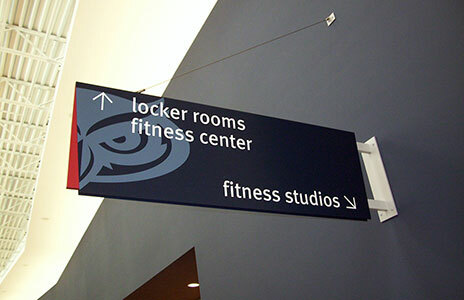 Signage was made entirely of inexpensive temporary materials and designed to utilize flexible/mobile mounting methods for adapting to the ever-changing conditions. 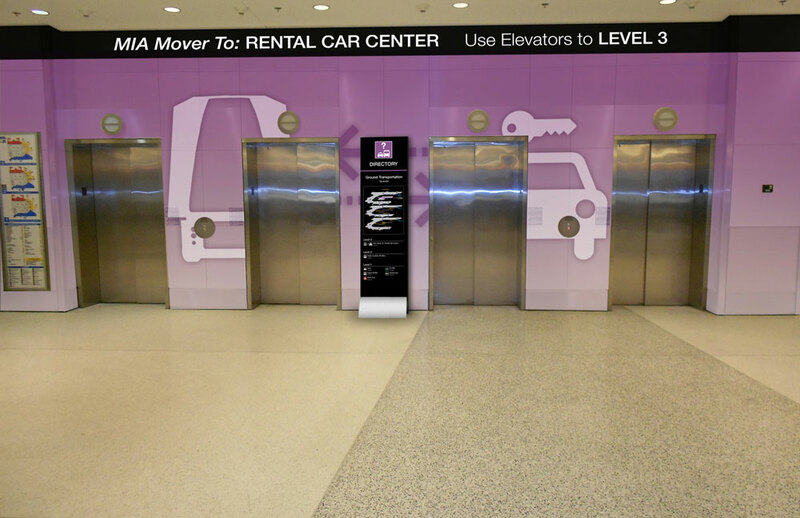 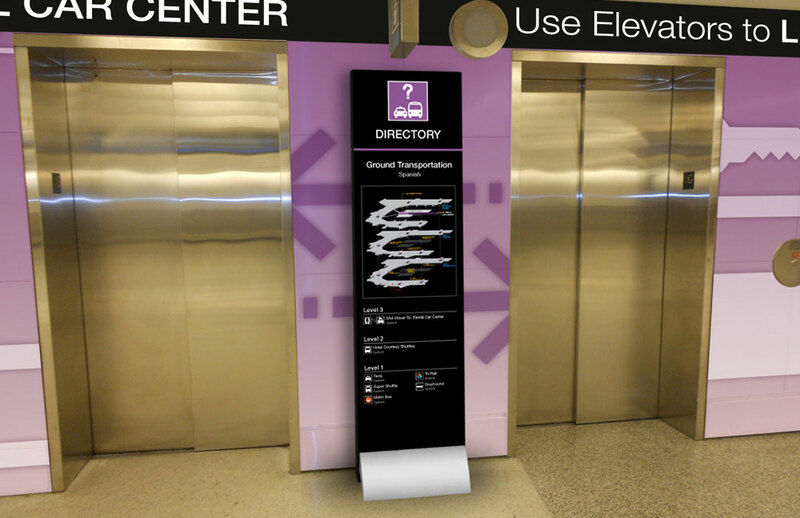 The transitional phase of the MIA Mover wayfinding program was a great success. 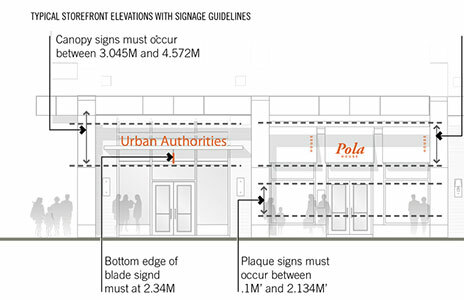 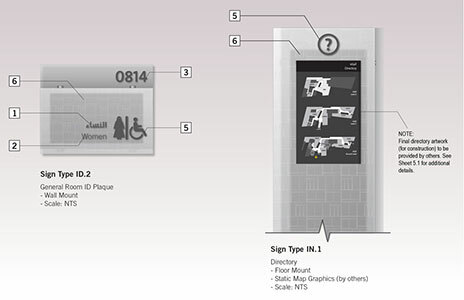 As a result, a more permanent sign system was developed and is being phased in. 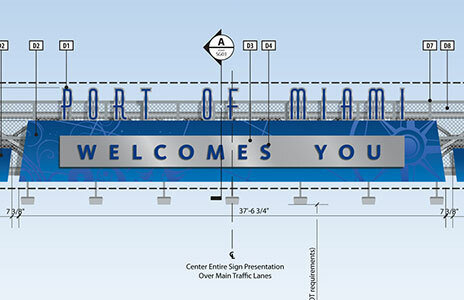 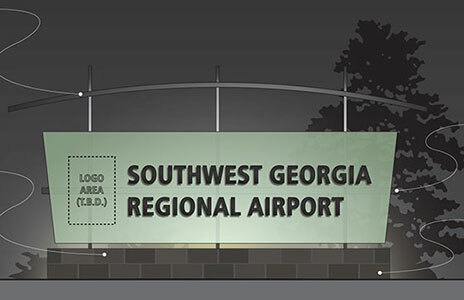 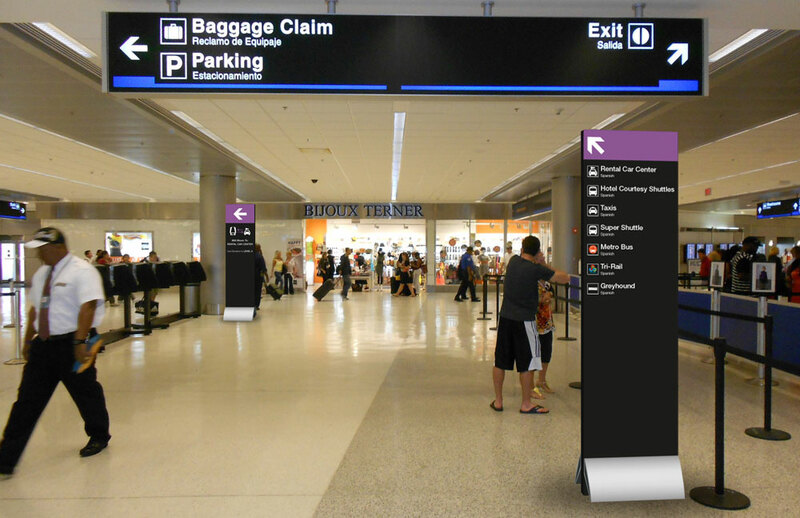 This new permanent system is designed to build off of the transitional sign program using similar messaging/terminology, graphic treatments and sign locations, but will use materials and fabrication methods complementary to the existing airport wayfinding system.